The TensorFlow Python API supports Python 2.7 and Python 3.3+. 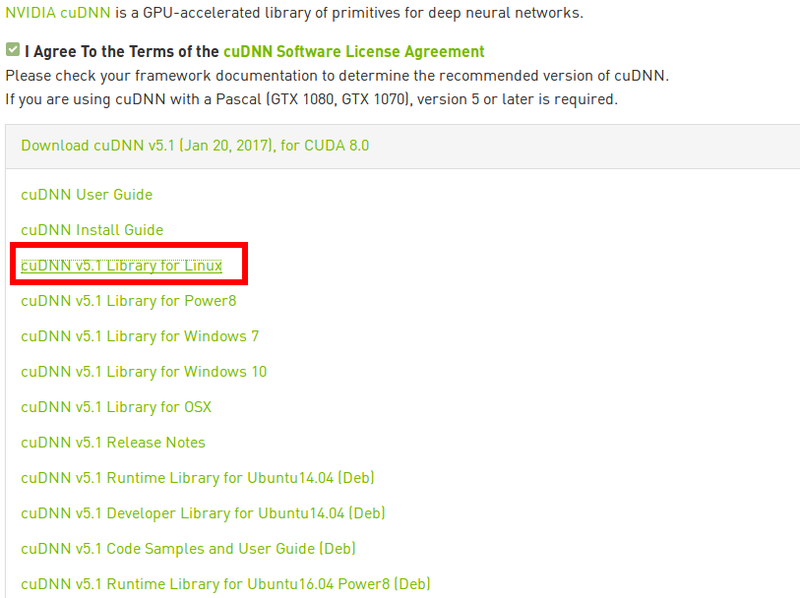 The GPU version works best with Cuda Toolkit 8.0 and cuDNN v5.1. 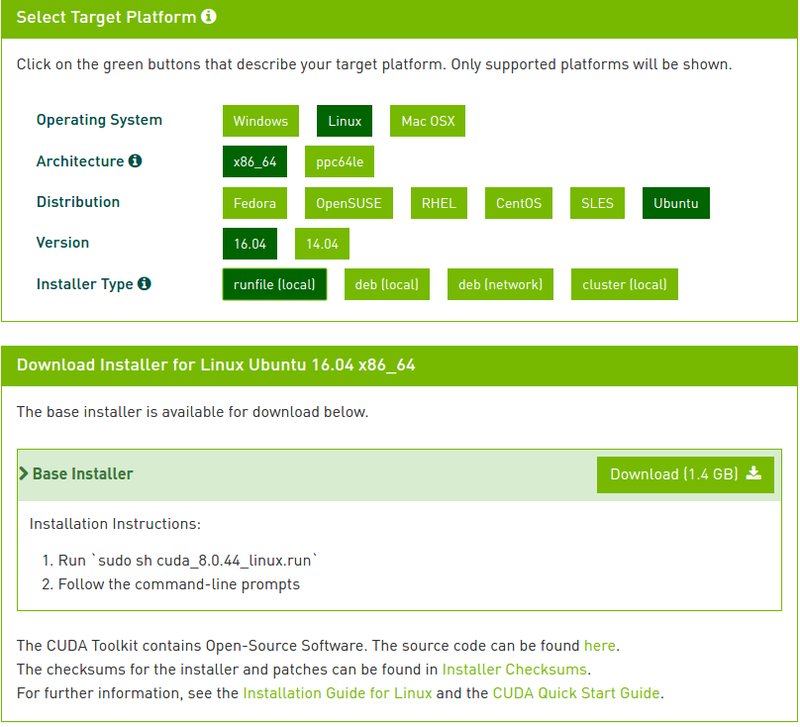 Other versions are supported (Cuda toolkit >= 7.0 and cuDNN >= v3) only when installing from sources. Please see Cuda installation for details. For Mac OS X, please see Setup GPU for Mac. Please see CUDA_Installation_Guide_Linux.pdf in /usr/local/cuda-8.0/doc/pdf for detailed information on setting up CUDA. ***WARNING: Incomplete installation! This installation did not install the CUDA Driver. 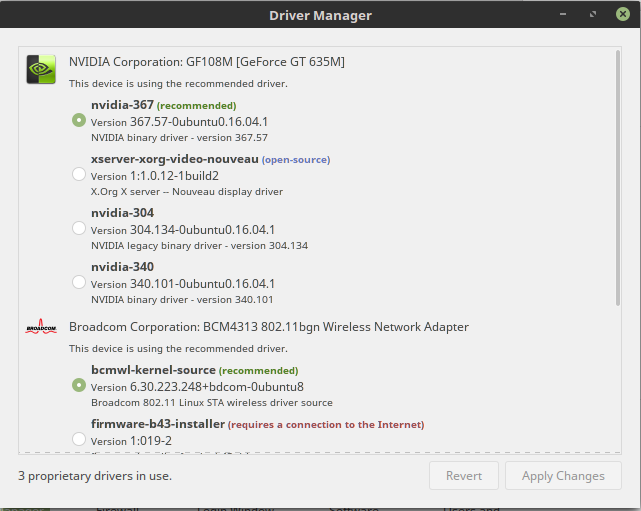 A driver of version at least 361.00 is required for CUDA 8.0 functionality to work. nvcc warning : The &apos;compute_20&apos;, &apos;sm_20&apos;, and &apos;sm_21&apos; architectures are deprecated, and may be removed in a future release (Use -Wno-deprecated-gpu-targets to suppress warning).